“Silent Cal” was a man of limited words, a fan of limited government, and a firm believer that an America unbound by a harsh tax burden would see limitless growth. By 1927, only the wealthiest 2% of taxpayers paid federal income tax As a result, America experienced an incredible era of growth during the Roaring 20s. 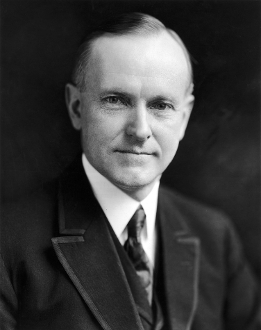 Calvin Coolidge believed "the chief business of the American people is business" and so do we!